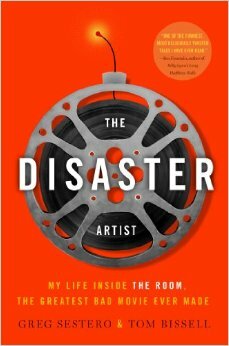 The Room, my favorite little-bad-movie-that-could, now has its own book by actor/line-producer/survivor Greg Sestero. I was so excited about this book that I contacted all the publicists and received a copy before publication date. Now you can read my review for it on BroadwayWorld.com. While you do that, I’ll be online shopping for Lisa-blonde wigs in preparation for Sunshine Cinema’s monthly midnight screening of The Room, where Tommy Wiseau and Greg Sestero will be making an appearance. PS. If you missed it: Greg Sestero did an Ask Me Anything on Reddit. You can read it here.